Are you hosting a cemetery event? Speaking to a group? Looking for something to pass out at Halloween that isn't candy? Print out copies of our coloring page below! • Visit cemeteries only during posted open hours. • Be considerate of others. If a funeral is in progress or people are visiting a grave, move to another section of the cemetery. • Do not stand, sit or lean against monuments. No matter how sturdy they may seem, they may fall or shift. • When you see trash, pick it up. • If a stone has fallen, do not move it to another location (i.e. against a fence or nearby tree). It may be the only record of the grave’s location. • Ask permission from the cemetery office before doing a gravestone rubbing; they may not be allowed. 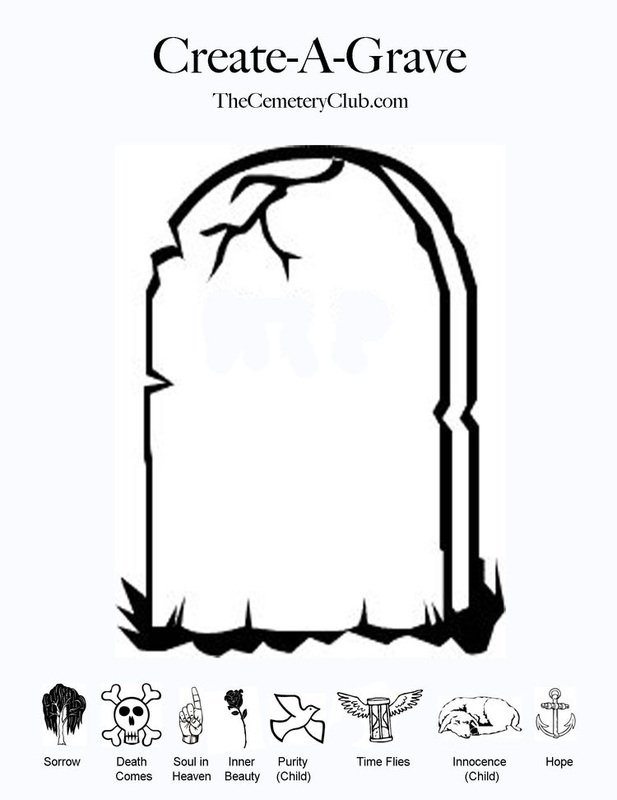 • Follow all posted cemetery rules. • If dogs are allowed on the grounds, clean up after your pet. Do not let your pet run free. • Use respectful language and be considerate of others. Do You Have a Cemetery Site or Blog? If you have a cemetery website or blog, send me the URL, and I'll be happy to add it to my links page. Reciprocal links are always welcome! If you want even more exposure, contact me about placing an ad on the site. I work with all budgets! Check out the Links page here. 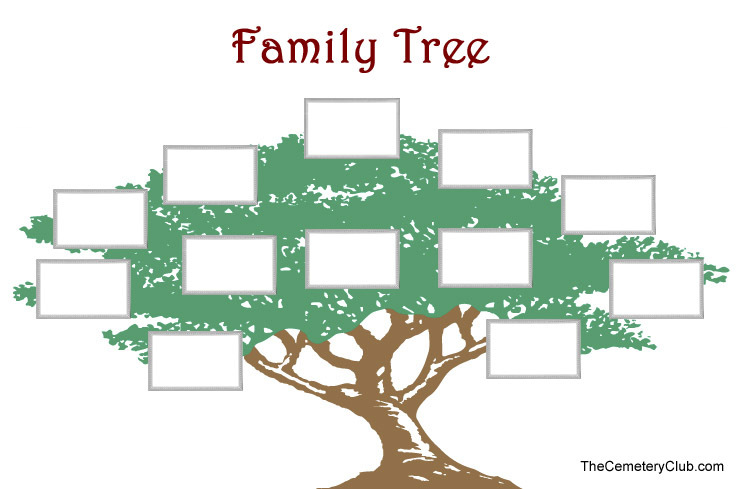 Free for you: Printable starter family tree. Click on image for large size.